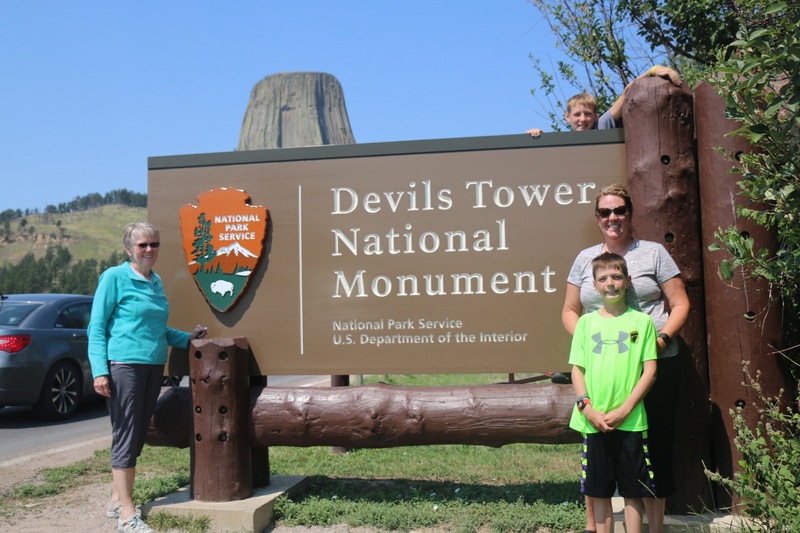 The next stop on National Park Trip Season 2 was Devils Tower National Monument. 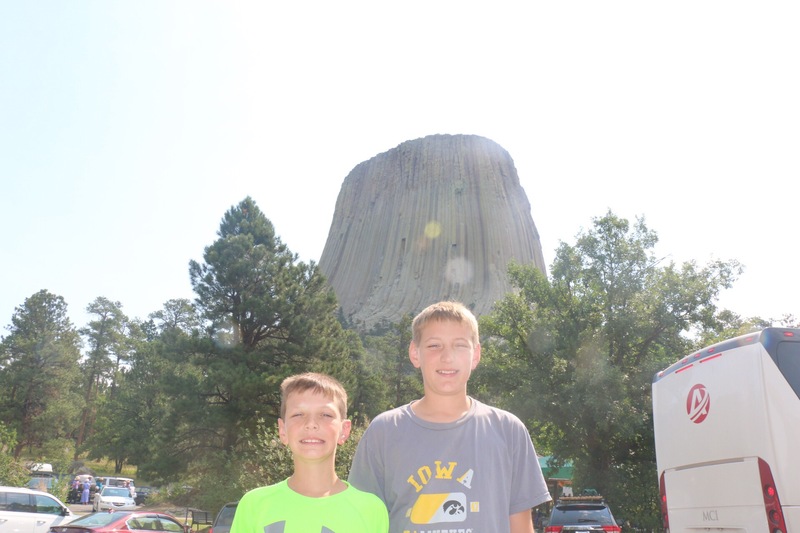 A perfect stop between all of the South Dakota landmarks and Yellowstone. 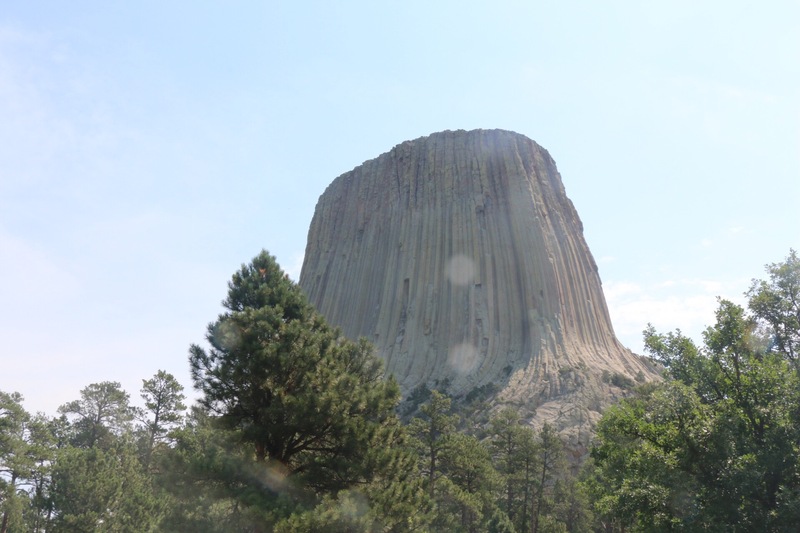 Devils Tower was the first National Monument to become a National Monument! We were just passing by and stopped to visit for an hour or so. 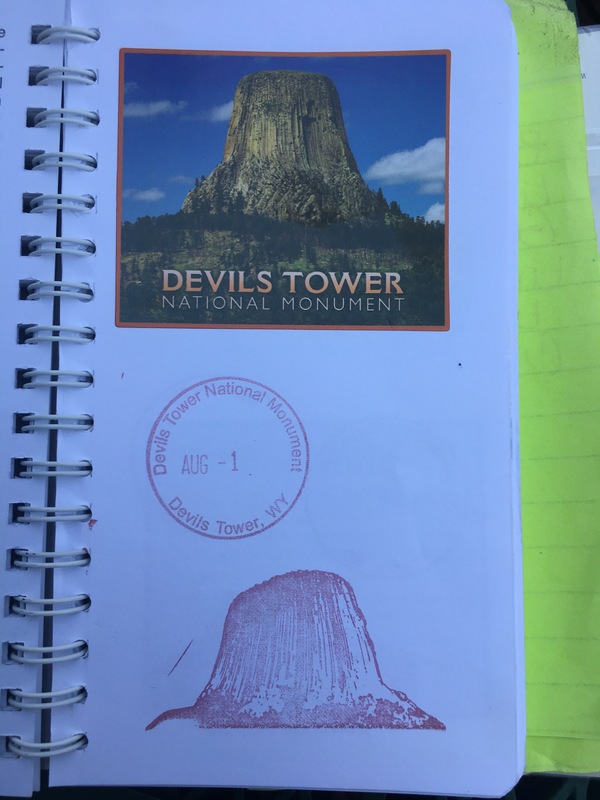 We printed the Junior Ranger booklets beforehand and worked on them during the drive over from South Dakota. It was a pretty boring drive so I’m glad we had something to keep us occupied and looking forward to at the next stop. When we got there, there were a few items that we needed to find in the visitor center. We walked around a little and visited the gift shop. Tiny gift shop but they had everything we needed, so we loaded up! 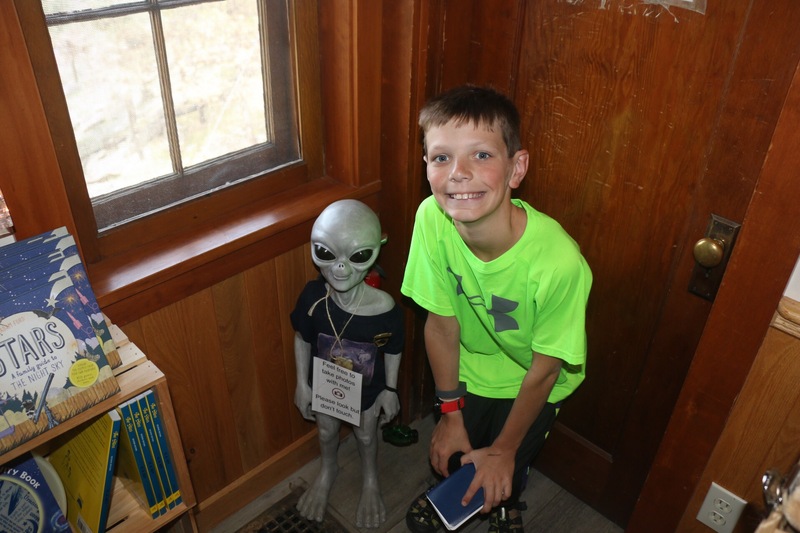 Gunnar managed to find an alien at the store 👽👽 We love aliens! 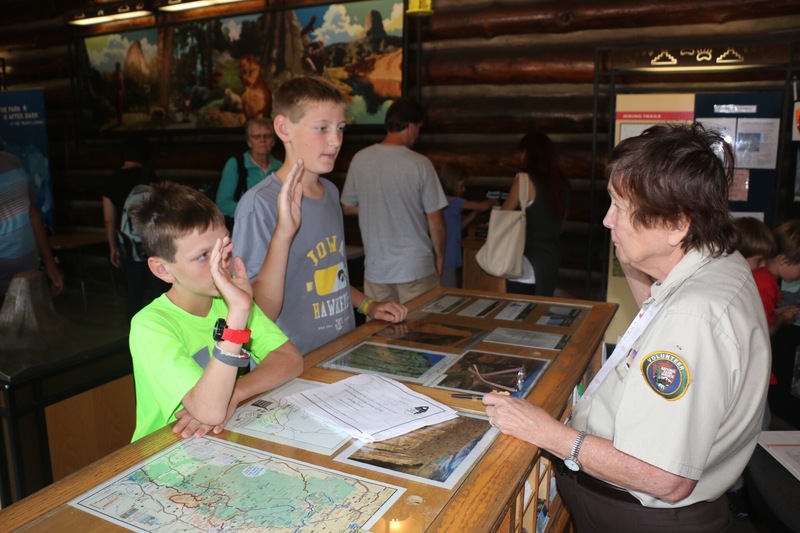 Stopped over to the information desk and received our Junior Ranger badges and Passport cancellation stamps. Great stop to break up the drive! Neat little visitor center! I would say plan anywhere from 1-3 hours here. There is a trail around the tower you can walk on. We didn’t do it, it was really crowded there the day we went. We stuck to the visitor center, it seemed less crowded to us. Not much to do here, but it’s a must see, America’s first National Monument. Now on our way to Yellowstone National Park! I can’t wait. Check back for more adventures! !